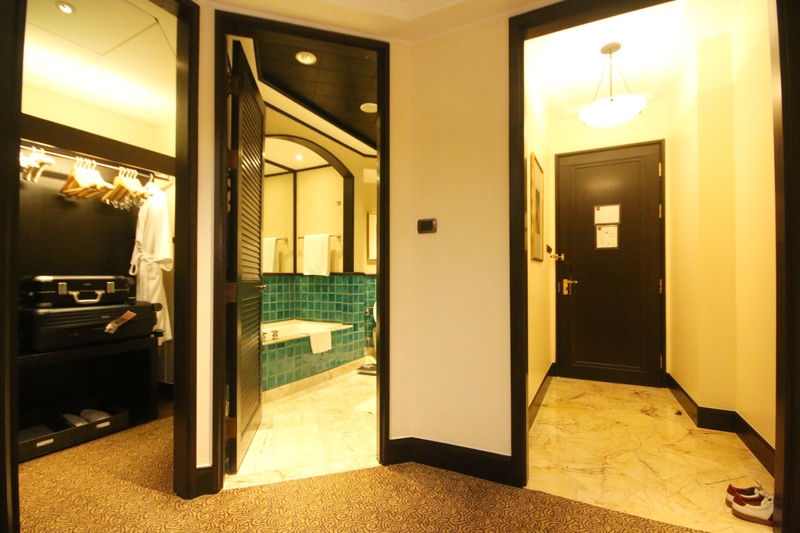 When in Bangkok, I prefer to stay in hotels that are connected to the BTS such as the Sheraton Grande Sukhumvit, Bangkok. When you are pressing for time, the last thing that you want is to be caught in the infamous Bangkok traffic jam. The BTS is a reliable mode of transportation and if you’ve done your homework, you could be in a place where it’s connected by both the BTS and MRT. The check-in was relatively a smooth process for me especially when I’ve informed the hotel on my flight schedule prior my stay. As I would be arriving late in the evening, I gave them instructions not to turn down the room before my arrival as I wanted to take pictures of the room. And I was pleased that the instructions were followed to a T.
The Sheraton Grande Sukhumvit, Bangkok, is probably the Grand Dame of all Bangkok hotels. She has already established a name for herself as a premium hotel way before St Regis, Park Hyatt and Siam Kempinski opened their doors to receive their guests. 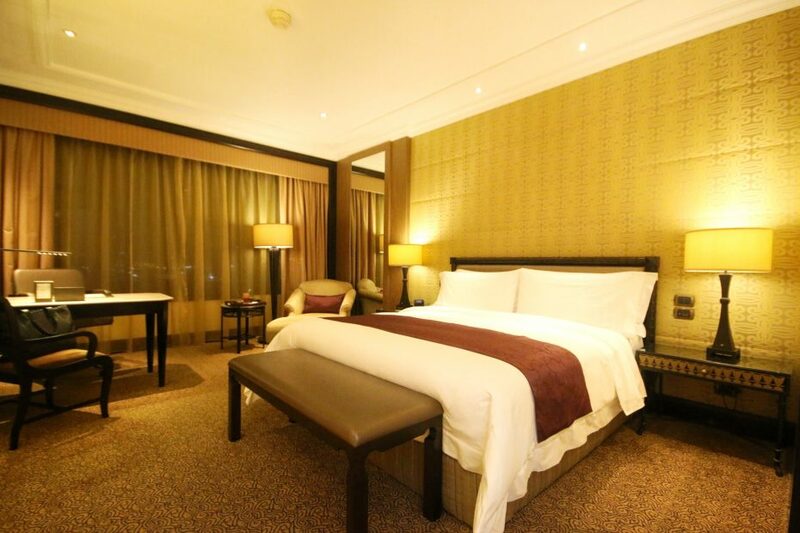 Unlike the other luxury hotels, Sheraton Grande Sukhumvit is situated in an excellent location. The hotel is connected to Asok BTS and the Sukhumvit MRT. Come rain or shine, you are protected from all elements of the weather and it’s a breeze for you to travel to any of the major shopping malls in Bangkok such as EMQuartier and Siam Paragon. If you’re too lazy to travel, the famous mid-tier Terminal 21 shopping mall is just next door. The location is bustling with life, food, shopping, massage, you name it you get it. The 22-year-old property has 420 rooms inclusive of 46 suites. So it’s not surprising that it’s packed with business and leisure travellers, locals and foreigners. My first impression of the hotel is that the lobby is grand but the interior has seen better days and could do with some redecorating. The dull and unexciting interior stretches to the rest of the hotel. I was booked in the Luxury Room. At 45m2, the Luxury Room is pretty huge for one. I was fortunate to be given a room facing the Lake Ratchada, which is rather pleasing. It’s almost like overlooking the New York’s Central Park but many times smaller. The good thing is that my room faces the east and you can get a pretty sunrise in the morning. I was not overly thrilled with the room mainly because the interior seems to have stuck in the last century. The mustard wallpaper in the bedroom and the celadon tiles in the bathroom are so yester-year. 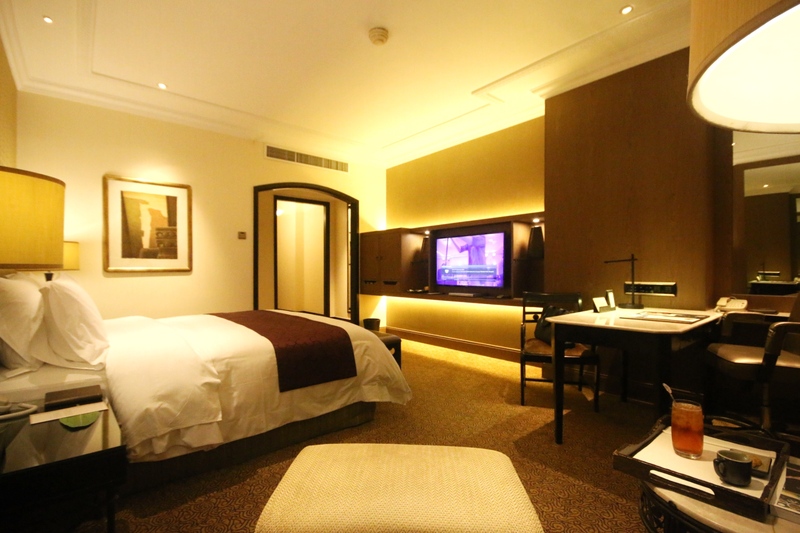 Ok, the room is decent but I don’t think its aesthetic is anywhere close to its sister hotels in Bangkok such as Plaza Athenee and St Regis especially when Plaza Athenee undergone a major facelift about 2 years old and is available at a cheaper rate. I didn’t get to have any meals in the hotel mainly because I wanted to explore the different restaurants and cafes around the vicinity. But I did explore the other facilities such as the pool, Fitness Club and The Grande Spa. Frankly, they are a disappointment. The pool looks great on pictures and the surrounding eludes this rustic Sukhothai ambience. Sadly, the pool is so small and I didn’t even bother step in. It’s oddly shaped and there’s literally not much room for one to swim when you have a bunch of holidaymakers with their kids on floats in the pool. The Fitness Club fares slightly better but it’s not motivating enough for one to spend some time working out in there. 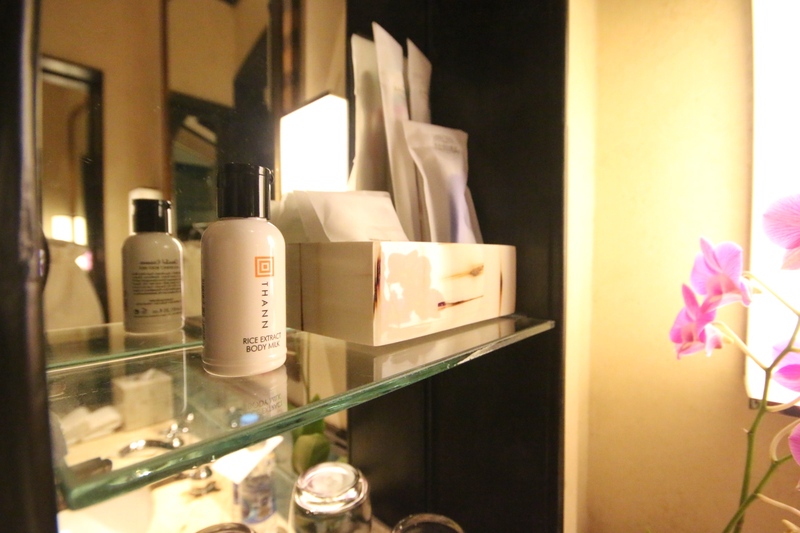 One of the reasons why I chose to stay at the Sheraton Grande Sukhumvit during my last trip was the spa facilities. And since I’m a SPG Gold member and I get to check out at 4pm, I thought I could spend some time at the spa before I leave for the airport. 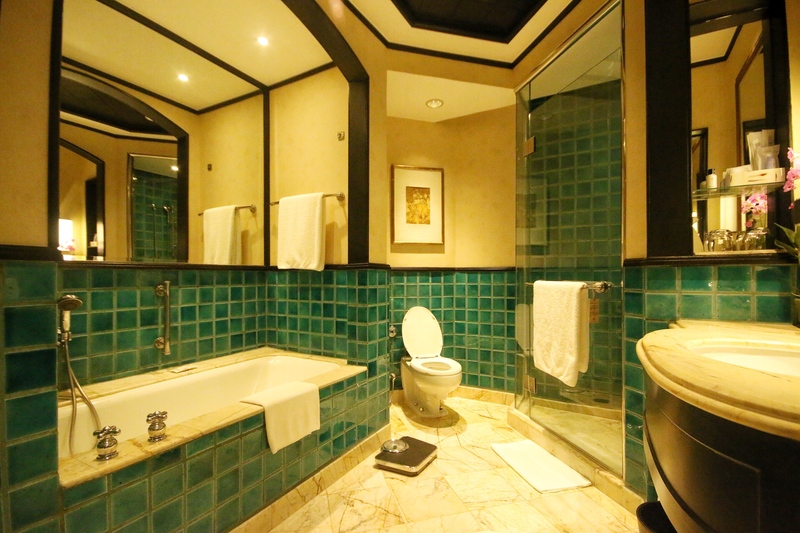 However, the steam room, sauna and whirlpool are in serious need of a thorough cleaning or major makeover. They are not well maintained and they are just unappealing. Despite all these, the saving grace is that the hotel staff is generally well trained and professional. I gave the concierge full marks for providing me with sound advice and detailed instructions. They are so happy to help and they are like a trusted friend whom you can rely for great travel advice and tips. The other thing that I like about the hotel is that they provide butler service which is only available at the top-notched hotels. Standard drinks such as coffee, tea and juices are a call away and complimentary. Personally, I really like the hotel’s location and service. But they really need to do something about the dead interior. Unless the management does something about the interior, I doubt I would return to this property. I would rather spend a little more to pamper myself at the St Regis, Siam Kempinski or Park Hyatt in Bangkok.